This super trick hub assembly comes standard with free spinning 2-7/8 inch roller bearings. The inverted drive flange uses lighter, shorter axles. 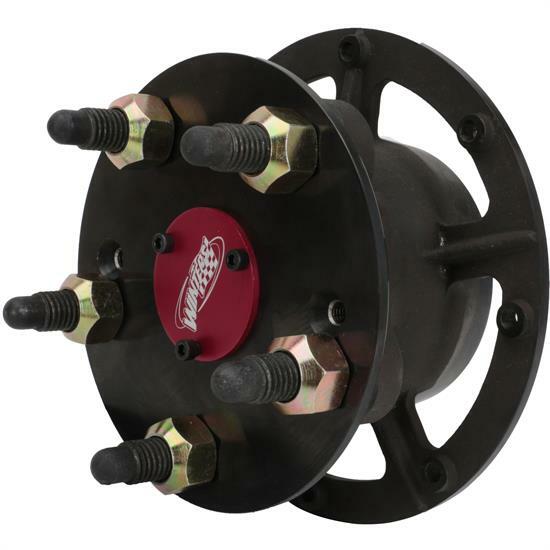 This 2-7/8 inch hub assembly, combined with P/N 3916 2-7/8 inch 5 on 5 Steel Side Tube & Spindle Assembly, saves an additional 5 lbs of rotating and un-sprung weight per rear end assembly. Eagle Motorsports shows off their premier 3-spoke Micro Hubs. Tim talks about soem of the early Ford hubs & bearing components we offer. Eagle Motorsports, Inc. put together a how-to video on installing their Stallard SST Front Axle Assembly. In this article, Heath P. talks about one of the most important parts of a hot rod, the front axle. He will walk you through the history of the front axle and how to properly assemble it for your car. Having a better understanding of basic wheel components is important to ensure your racing safety. We can make sure you have the correct beadlock rings, lug-nut taper, wheel spacers and more. Speedway Motors employees are committed to helping customers, as well as working on their own projects during down time. Follow along as our employee, Zach, rebuilds a 10 Bolt.